The Consultation will always be in private and totally confidential. 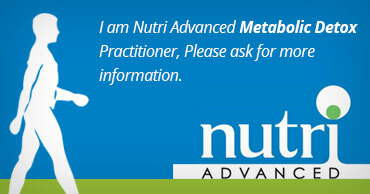 I work with my patients to address their health problems and concerns. I would always welcome a family member to accompany a patient, but only at the patient’s request. However, a minor under the age of 16 must have a parent or guardian present at every Consultation. First Consultation: the time allowed will be 1 1/2 hours. I will discuss with the patient, from the completed in depth health questionnaire their case history, which includes current health status, diet and lifestyle. Follow Up Consultations: the time allowed will be up to 1 hour. 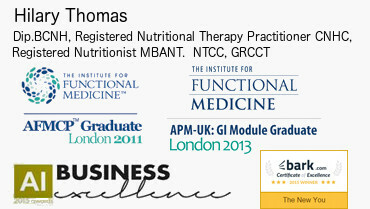 I will review progress in diet, lifestyle and supplement programme, together with discussing the results of any functional tests (should either supplements or tests be applicable), subsequently recommending any necessary changes, at a pace with which the patient feels comfortable and which realistically ‘fits into’ their lifestyle. I have Practicing Privileges at the Chelsfield Park Hospital and The Sloane Hospital in Kent, they are part of the BMI group of hospitals, please see the Links page for their details. I also work in London from a clinic in Harley Street and Biolab Medical Unit in Weymouth Street. I am also available if required, for ‘Nutrition Walks’ with patients for practical advice on choosing healthy produce in their local supermarket, at home in the kitchen on preparing ‘healthy’ meals and children’s lunch boxes, or on food already stored in kitchen cupboards. Everyone is very much an individual, although it is usual for a nutritional programme to be supervised for 1 year, with an average of 4 appointments within that year or as necessary, but acceptable to the patient. Are not a substitute for healthy eating, diet should always come first, however supplements may enhance a nutritional programme and subsequently may be recommended, but these would be optional. Specific functional tests may be recommended during a patient’s nutritional programme, for example; Food Intolerance and Allergies, Comprehensive Stool Analysis, Hormone levels, Liver Function and Hair Mineral Analysis. These are optional, but are sometimes helpful in giving a clearer picture of what is happening in the body, and also to monitor a patient’s progress. I charge for my time and professional expertise, please call on my mobile number or by email for Consultation fees. To Book a Consultation at Kentes in Thorpe Bay, BMI Chelsfield Park Hospital in Orpington, BMI The Sloane Hospital in Beckenham, Spire Wellesley in Southend-on-Sea or at BioLab Medical Unit in London please contact me on my mobile number, or free phone number or by email. PLEASE NOTE: A full Consultation fee will be charged for cancellation less than 24 hours prior to the scheduled appointment.